That's it's for Issue 17! I hope you all enjoyed it. There will now be a wait before Issue 18 starts, hopefully not too long. 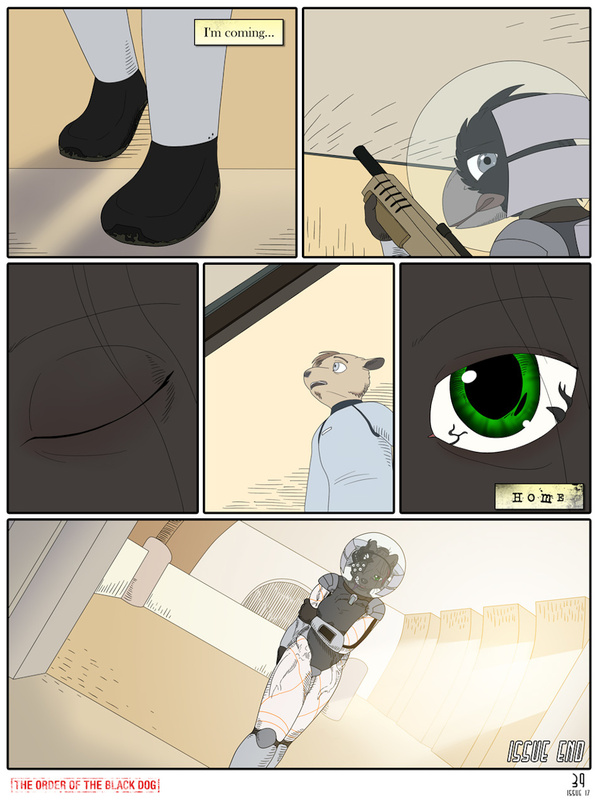 Remember, patrons will be the first to see new pages! It's just a small % of unknown thing... How can that be- OH HELL NO! Maybe she's dead, or maybe she's the key to understanding this stuff. Because of the short break between issues, now's a great time to catch up! NO! NOT HER! MAKE IT NOT SO! I really was hoping that she would survive. Now i am upset and sad. I really like the way this issue ended. In a really cool way, it parallels the cover. In both cases, it teases the viewer with the idea of a massive story for the telling. And I'm reminded rather beautifully of one of the Major Tom songs. Not David Bowie, the other one. On a more personal note, for God's sake, don't shoot, just get me a gurney and that poor woman into quarantine on the jump! And someone find Melissa! Yes, it was, though I can infer at least two things from that last panel, besides the obvious. One, her suit's completely intact, and two, the rest of her doesn't look any different than a couple of panels ago, which suggests a relatively short time. Otherwise I'd expect to see visible signs of both aging, and major suit wear.